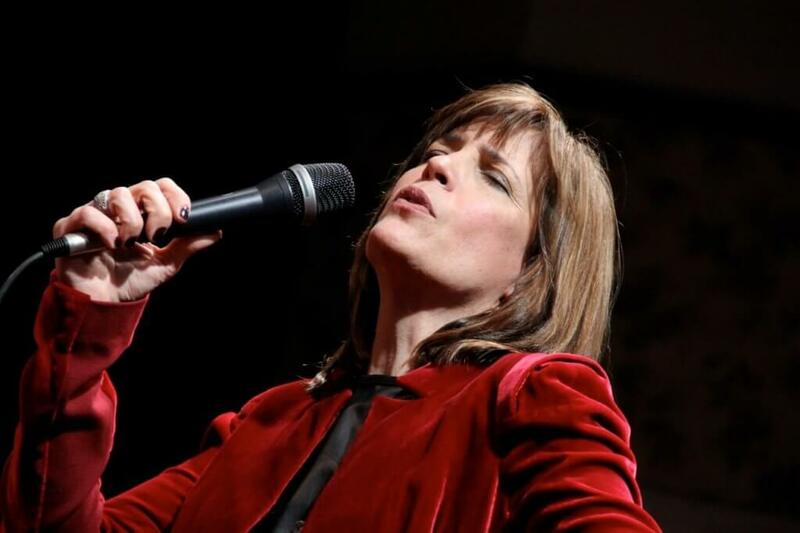 In addition to playing top clubs around the country, jazz vocalist Sarah Partridge is a songwriter whose compositions have been described as “modern classics”. Her six studio albums have garnered national and international attention, and her latest release, “Bright Lights & Promises: Redefining Janis Ian” landed on 3 “Best jazz albums of 2017” lists. Sarah has written for Downbeat Magazine and appeared on Good Morning America. Partridge grew up listening to jazz vocalists around the house, soaking up her father’s albums of Ella Fitzgerald, Chris Connor, Dakota Staton, Irene Kral, and Sarah Vaughan. But she was drawn to acting, and ended up majoring in theater at Northwestern University. After graduating in 1982,she worked around Chicago, and landed her first feature role in Tom Cruise’s star-making 1983 hit Risky Business. Partridge released her debut I’ll Be Easy to Findin 1998, a widely acclaimed album (“She’s a pleasure to hear in any emotional guise, whether one of regret or exaltation”—Billboard) featuring veteran jazz greats like Frank Wess, Bucky Pizzarelli, and Gene Bertoncini. She has grown exponentially with each new recording: Blame It on My Youth, 2004; You Are There, Songs for My Father, 2006; Perspective, 2010; and the long-awaited I Never Thought I’d Be Here, 2015. And now, Bright Lights & Promises: Redefining Janis Iancaptures an artist fully in command of her craft. Surrounded by an enviably sympathetic cast of collaborators, Partridge has expanded the possibilities for fellow vocalists, bringing the work of an American original firmly into the jazz fold.